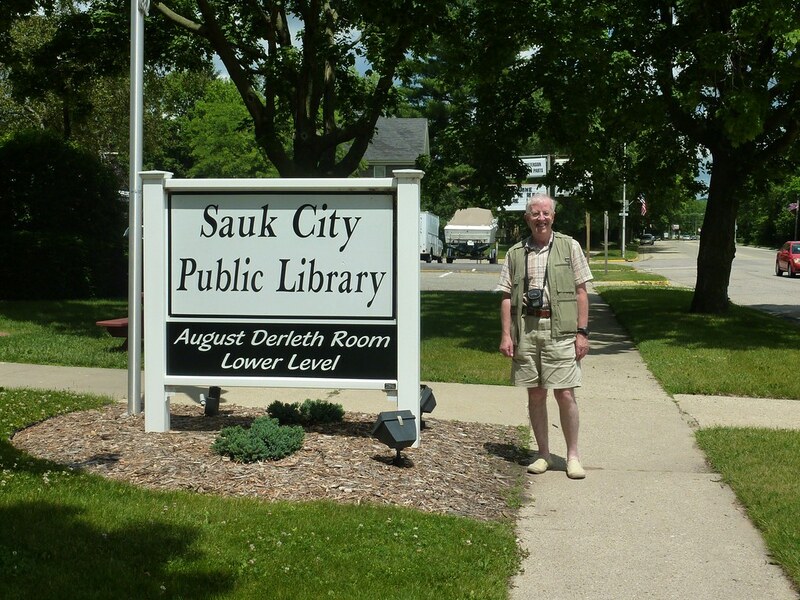 In June 2010 we drove into Sauk City in rural Wisconsin; not a big place, but typical of many American small towns and well looked after by its residents. This was in the way of a pilgrimage. 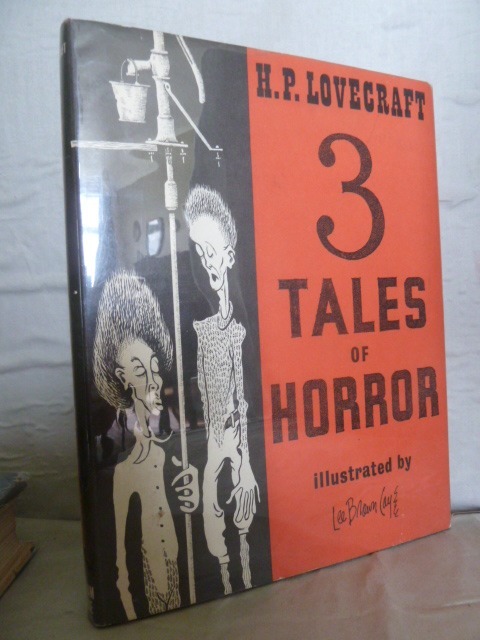 As a teenager I had devoured the stories of H P Lovecraft and was aware that most of these first saw publication in book form in a volume called "The Outsider and Others", published by Arkham House at Sauk City, Wisconsin. For a long time this remained a name of legend, more imagined than real; another creation, if you like, of Lovecraft's dreams and nightmares. I had never imagined that one day I would actually see an Arkham House book, let alone own one. But then, at Ilkley Book Fair in the late 1970s, a copy of an early Arkham House book was displayed on one of the stands. 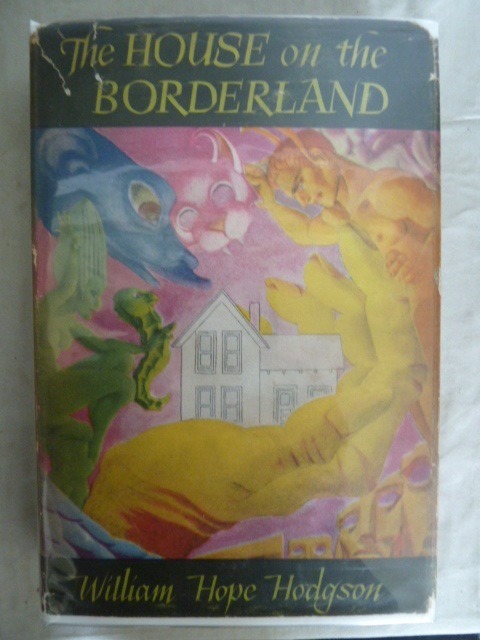 This was "The House on the Borderland" by the British writer William Hope Hodgson, another favourite author. After initial hesitation on account of the price, the book returned home with us and was the first of a number of Arkham House volumes that now are housed in a separate bookcase. It was the death of H P Lovecraft in 1937 that led to the founding of Arkham House. Up to that time Lovecraft's stories had been largely confined to pulp magazines such as 'Weird Tales'. 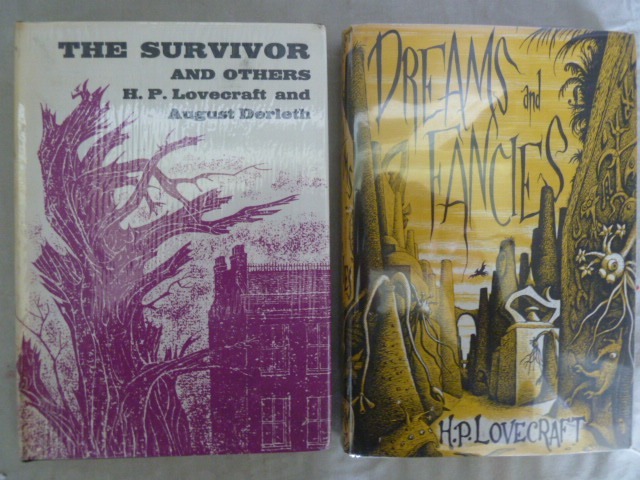 However, two of his admirers, August Derleth and Donald Wandrei, felt that his work deserved more solid recognition. 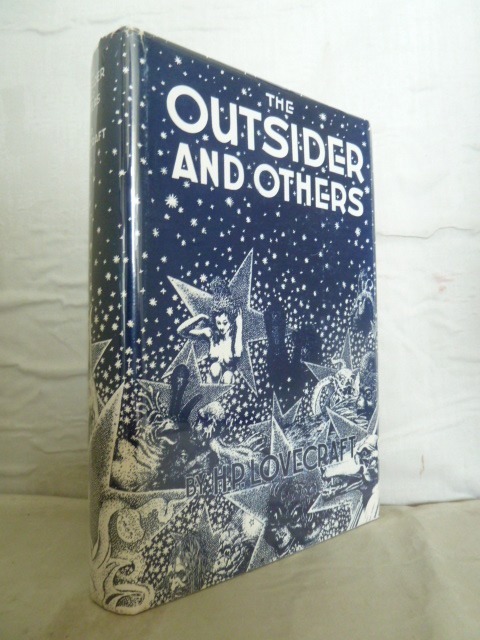 After failing to find a mainstream publisher (Derleths's publishers Scribner's turning the idea down) they founded their own publishing house and in 1939 brought out "The Outsider and Others", a large volume containing the best of Lovecraft's work. Since then Arkham House has continued to publish works of other authors and continues to this day, though under new ownership. 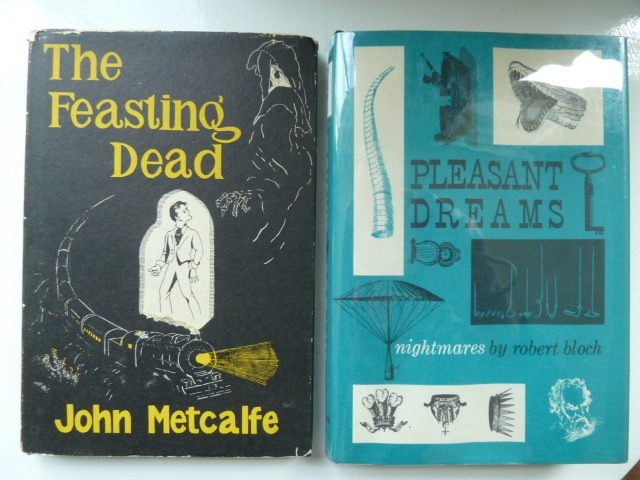 Their catalogue contains much of the best of what has been termed 'weird fiction', i.e. ghost and horror stories, science fiction and fantasy. 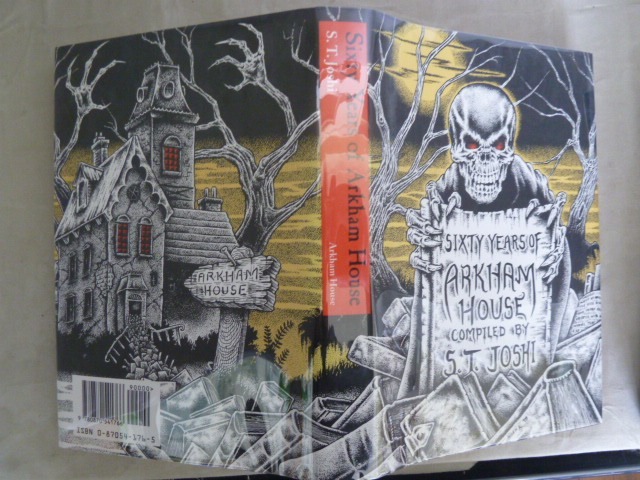 Arkham House, after a slow start, produced some 40 titles in its first decade. Some of the authors were previous pulp fiction regulars such as Robert E Howard and Clark Ashton Smith and further volumes of Lovecraft appeared regularly. August Derleth also contributed some of his own copious work. 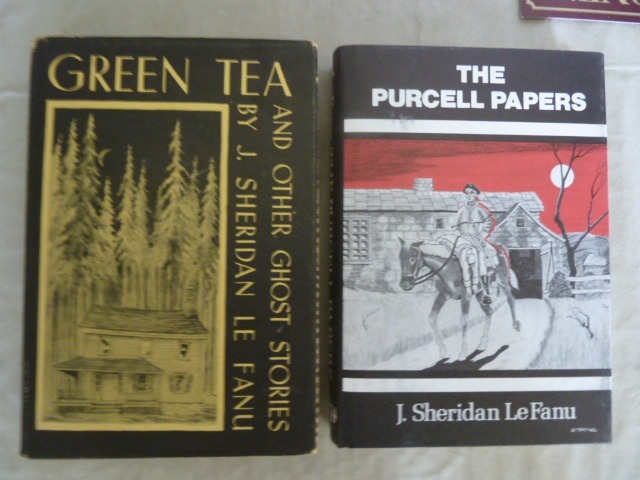 However, they also published mainstream gothic and ghost story writers such as J Sheridan Le Fanu, Algernon Blackwood, Lady Cynthia Asquith, L P Hartley, Walter de La Mare, Arthur Machen and H Russell Wakefield. In 1947 one of Arkham House's most desirable (and hence now most expensive) books was published. This was the debut volume of science fiction stories by Ray Bradbury, "Dark Carnival", (published later in the UK as "The October Country"). This volume contains some of Bradbury's best and most anthologised stories such as 'Skeleton' and 'The Small Assassin' and is sadly not on our shelves. 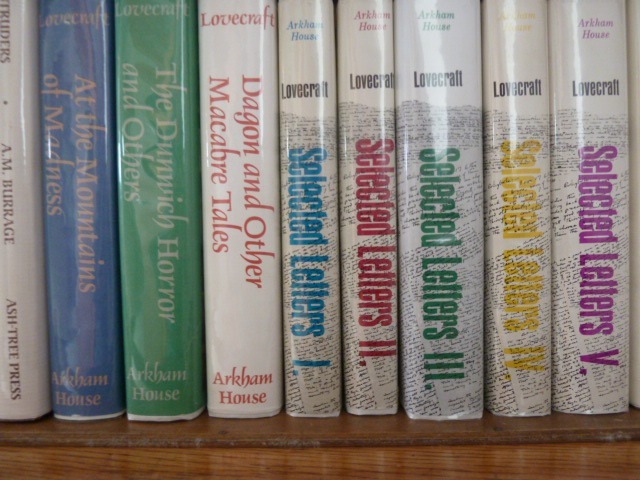 The 1950s, 1960s and 1970s saw more works by August Derleth, reprints and further compilations of Lovecraft, including his letters, published in 5 volumes by Arkham House. Robert Bloch, author of 'Psycho' and admirer of Lovecraft, was also featured. 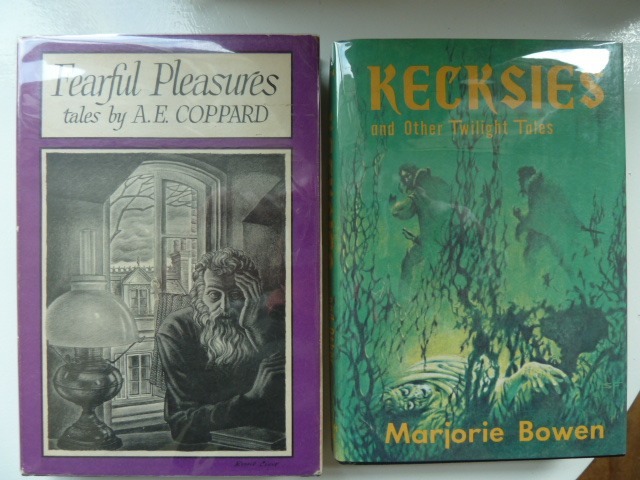 Works by the British writers M P Shiel and William Hope Hodgson also appeared. 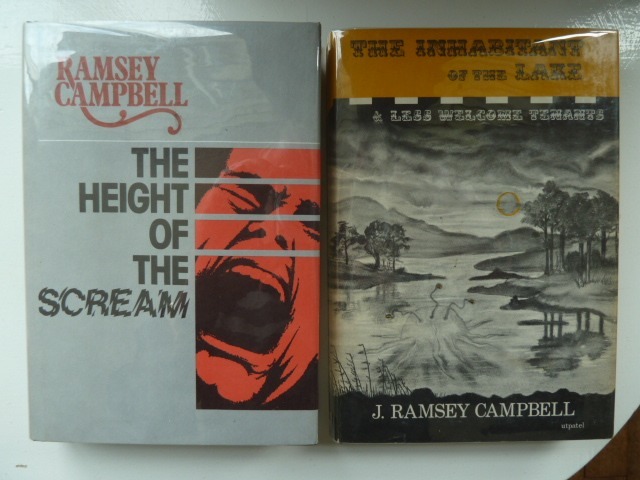 The British fantasy author Ramsey Campbell saw his first appearance in print in 1964 when Arkham House brought out "The Inhabitants of the Lake and Less Welcome Tenants", the result of correspondence between the teenage Campbell and August Derleth. In 1999 a history and bibliography of the press was published, edited by Derleth's successor as Lovecraft's editor, S T Joshi as the 192nd Arkham House book. 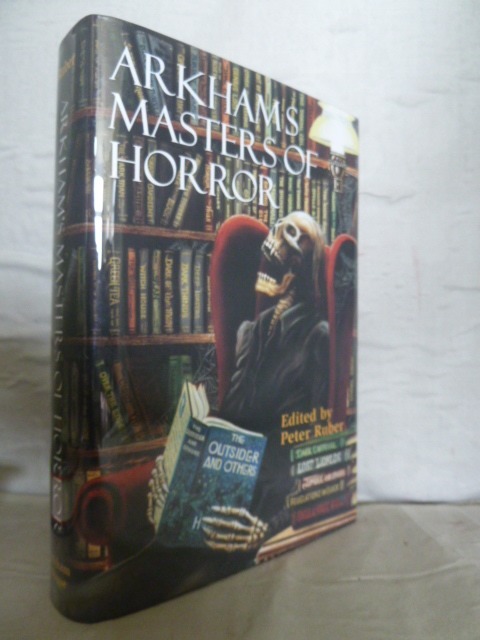 Fittingly the next volume was a retrospective 60th anniversary anthology entitled "Arkham's Masters of Horror". It is nice to report that I obtained both these volumes new during holidays in the USA. 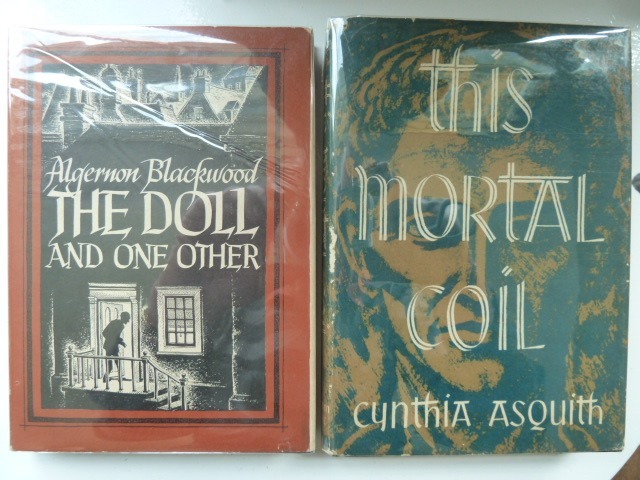 Nowadays, Arkham House books are found more often in the UK, but our own collection of Arkham House books is a constant reminder of exciting visits to bookstores in the USA. On our pilgrimages to Lovecraft's home town of Providence, we have browsed in bookstores old and new and it is good to find that he is remembered so well in the city he loved so much. In a rather down at heel section of North Main Street we found the Other World's Bookstore and here was perhaps the most complete set of used Arkham House volumes I have encountered in a single bookstore. Fortunately, across the street was a 'Dunkin Donuts' where the family could regroup and gain confidence for the forthcoming purchases. Then in downtown Providence is the excellent Cellar Stories Bookstore where other volumes have been found. Of the new bookstores the Brown University Bookstore on College Hill, near Lovecraft's home, were selling bookmarks with Lovecraft quotes on when we visited. And at one new bookstore, on our first visit to Providence I first saw the 3 volume Arkham House edition of Lovecraft's works and the 5 volumes of the letters, all new and gleaming in protected dustwrappers. All were in our luggage on the journey home. 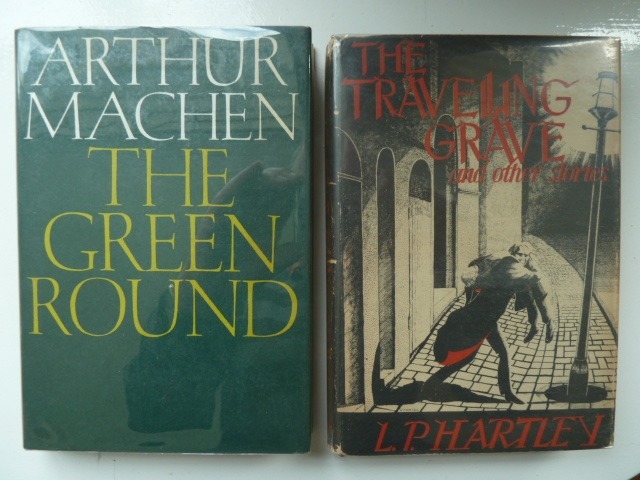 Other favourite USA bookstores, where I have bought Arkham House volumes are the Avenue Victor Hugo bookshop in Boston (now gone), Allen Scott in Portland, Maine (also gone), By the Book in Phoenix and, the late lamented Borders in Boston, which often had in print titles. 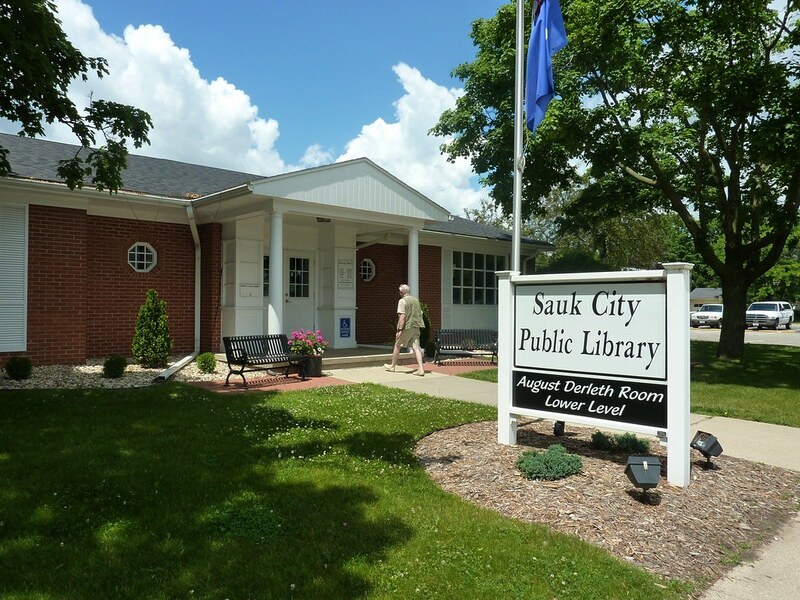 It is good to see that Sauk City remembers the writer who made the name a magnet for afficionados of weird fiction. In a prolific career, August Derleth produced many novels set in his native Wisconsin, volumes of poetry and pastiches of Sherlock Holmes. But, I suspect it is as the founder of Arkham House and protector of Lovecraft's legacy that he will be best remembered. It is perhaps an irony that, for a writer once so ignored by the mainstream, publishers are now competing to bring out new editions of Lovecraft's stories. In recent years we have seen editions by Penguin Modern Classics, Vintage, Gollancz, Barnes and Noble and the prestigious Library of America, recognition, albeit belatedly, of August Derleth's judgement in launching the imprint that kept Lovecraft's name alive. Wonderful if you could show a closer overview picture of that magnificient Wernicke bookcase, with the backs discernible of all the Lovecraft and Arkham House titles!